When compared to other cameras and the 808, the image quality on the galaxy camera is worst. But for the average users like me, the image quality is good enough. Dont think I ever heard of anyone complaining about the image quality yet. I actually own one and its a fun camera to use, I use it mainly for FB uploads and taking pictures when I'm out with my family. This camera, however is not for the Pros and Pro wannabes. I have no idea how the image comparison became the detail comparison only. And of course, bigger sensor will win. Thanks for fixing your article GSMarena. As far as the 808... I prefer it over my iPhone 5 for smartphone tasks, it all depends on your usage. The 808 is a perfectly capable smartphone. Samsung Lens is crap! No matter what. Carl Zeiss is still the best lens manufacturer for camera lens even though it's expensive. By using Carl Zeiss, there is less barrel effects and more detail when zooming. If you owned a DSLR, You have two type differently lens from different manufacturer. One Carl Zeiss and the other Canon. Compare both, you will find Carl Zeiss is much more clearer and more detail. I would have bought the 808 if only they released it from 2 years ago where they still haven't killed Symbian. But I didn't see the point in buying it now although it's a very capable smartphone also apart from being the best cameraphone. So I just opted for the Lumia 920. It's the best camera smartphone right now. 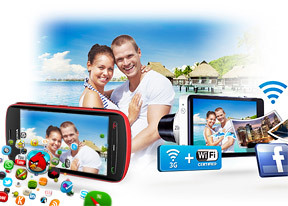 To GSMArena, you should also do a camera comparison with it with other camera/phones. another one down, i know pureview is better but i can see that soon it will give up its crown, ... for a lumia with ois! probably the lumia catwalk? AnonD-78383, 16 Jan 2013The Galaxy Camera isn't a phone!And thats the problem. My wife wanted a Galaxy Camera, she was so exited the first time when we passed by a store that had it on display. I wanted to have a closer look at it and some hands on but when i told her it was not a phone she was in a hurry to leave and didnt want to hear more about that useless thing. My bro have a galaxy camera already and except from the zoom lens he find it to be very insufficient wiirthth photo quality same as his SGS3. Fail as phone and fail as a camera, but still better than 808, Symbian was enough to kill it before birth, it is a failed abortion, something that should not exist if you look at it as a smartphone. AnonD-101861, 16 Jan 2013Congratulation to Samsung for a nice camera, but not smartphone. There´s no more hilario... moreThe Galaxy Camera isn't a phone! Excellent Review GSM! This Camera/Phone from Nokia is a Legend.